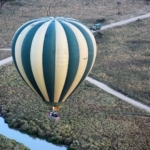 Many of the best places to visit in Kenya’s capital city Nairobi are in the suburb of Karen. 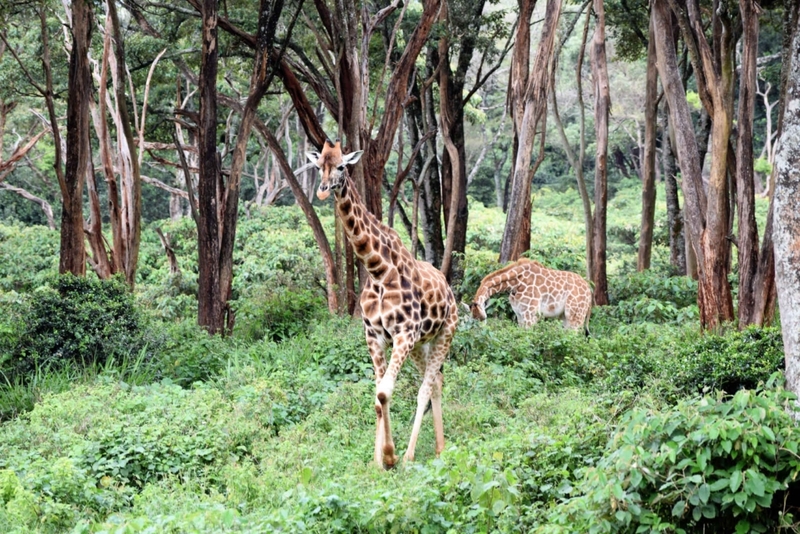 Named after Karen Blixen, author of memoir-turned-movie Out of Africa, the attractions include her former home and some charming animal centres. 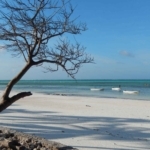 If you’re on a Kenya backpacking trip like us, for the best day trips out of Nairobi, I recommend hiring a local taxi driver to give you the grand tour. The city’s traffic can be full-on, so leaving early in the morning is a good idea. It worked out especially well for us, as we were the first visitors to arrive at the Giraffe Center. This meant we got to help call the giraffes for their breakfast and see them ambling over from the grounds of the nearby Giraffe Manor. 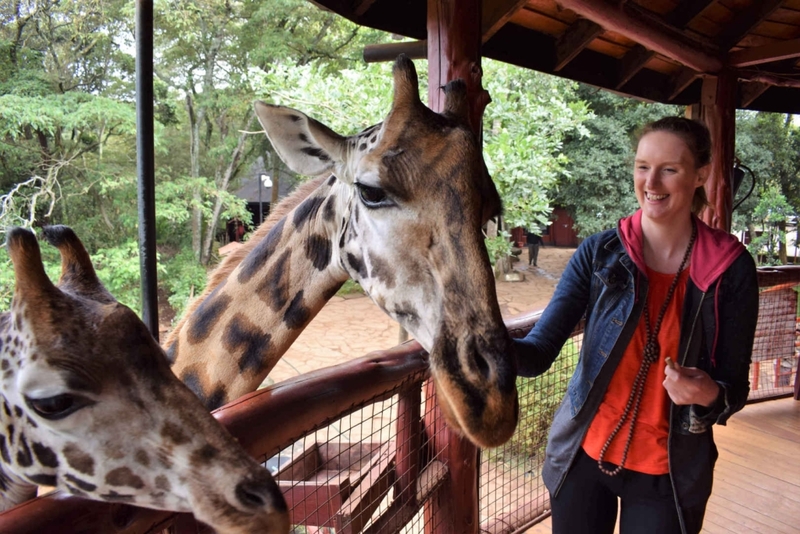 The Giraffe Center is a not-for-profit educational and conservation organisation, set up to protect the endangered Rothschild giraffes only found in this part of Africa. Its successful programme has resulted in several giraffe couples being introduced to Kenya’s vast national parks to help continue the species. The staff at the centre are friendly, knowledgeable and happy to answer any questions. We were standing on a raised observation platform, so once the giraffes had made their way over, they poked their heads through so we were face-to-face with these beautiful creatures. Breakfast for these giraffes was grey pellets and I was squealing with delight as I fed them by hand. Their long purple tongues swiftly scooped up the food, while their prickly lips tickled my palm. Then, our guide invited us to kiss the giraffes. 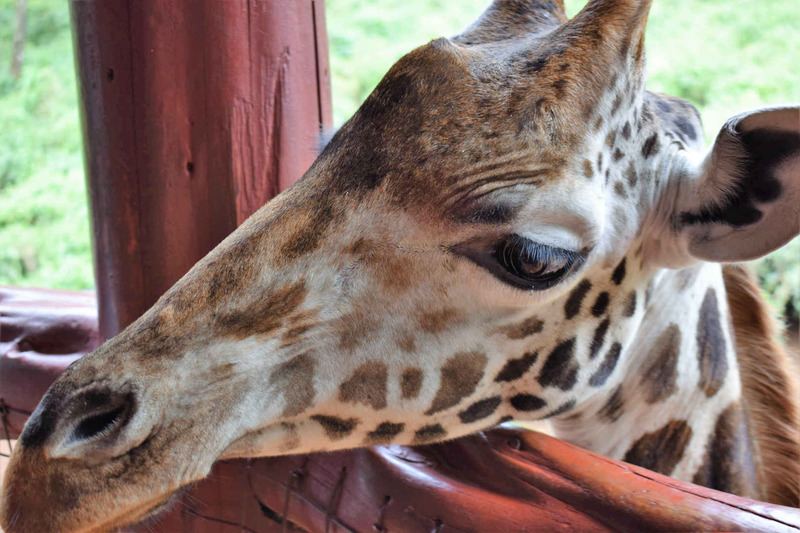 After seeing the look of shock and disbelief on our faces, he explained that giraffe saliva is actually antiseptic, which helps their tongue heal after eating leaves from their favourite prickly acacia trees. So we had nothing to worry about – all we had to do was put the pellet between our teeth and the hungry giraffe would do the rest. It was actually a really fun and novel experience. Apparently giraffes often hang around with warthogs, and these snuffling, tusked creatures can also be seen roaming the centre and affectionately nuzzling each other. While their tall giraffe friends can quickly alert them to danger in the wild, unfortunately warthogs have short memories so they can forget that there’s a predator around and get gobbled up! Next on our Nairobi day trip was a stop at the Elephant Orphanage. Here there were far more people and it had more of a touristy vibe, with guys near the entrance dressed as Masai warriors. 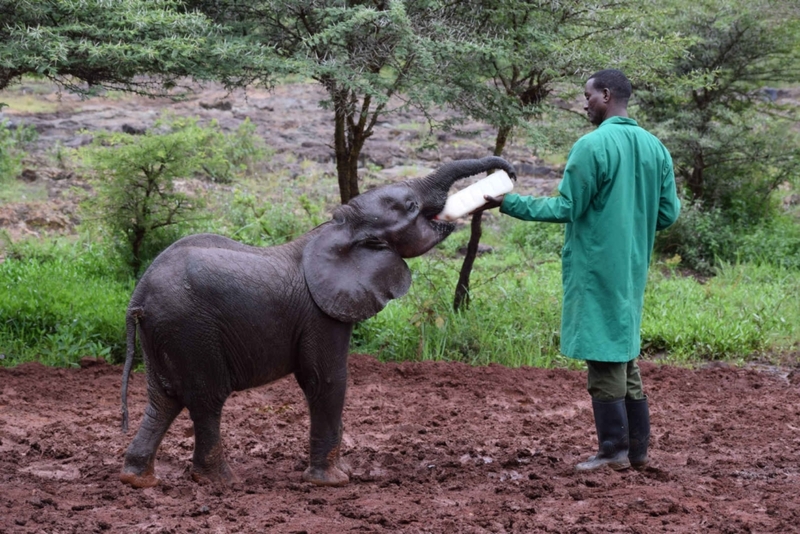 The centre itself clearly does fantastic work, rescuing baby and adolescent elephants from situations in the wild where they would have almost certainly have died. Perhaps they fell down a well or saw their parents killed by poachers. Despite their traumatic experiences, these cute elephant kids certainly seemed happy and enjoyed lapping up their morning milk. We heard the stories of each of the elephants – their name, age, character and why they were there. Unfortunately most of the reasons they’d been abandoned so young was because of humans, directly or indirectly. 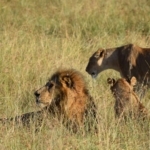 The centre and its associated charity offers the chance to sponsor one of these amazing creatures, as well as doing valuable conservation and anti-poaching work to protect them. 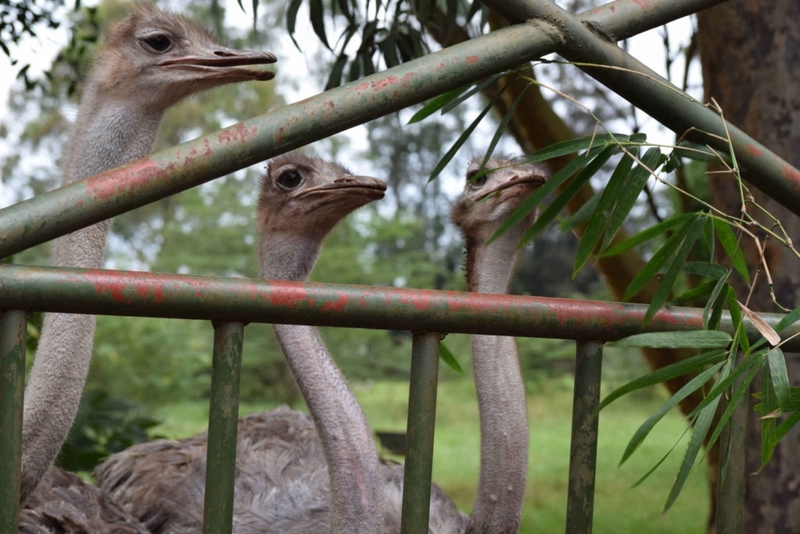 For lunch, we visited the Nairobi Mamba Village, where we enjoyed a leisurely al fresco meal and marvelled at the many local schoolchildren who were visiting that day. 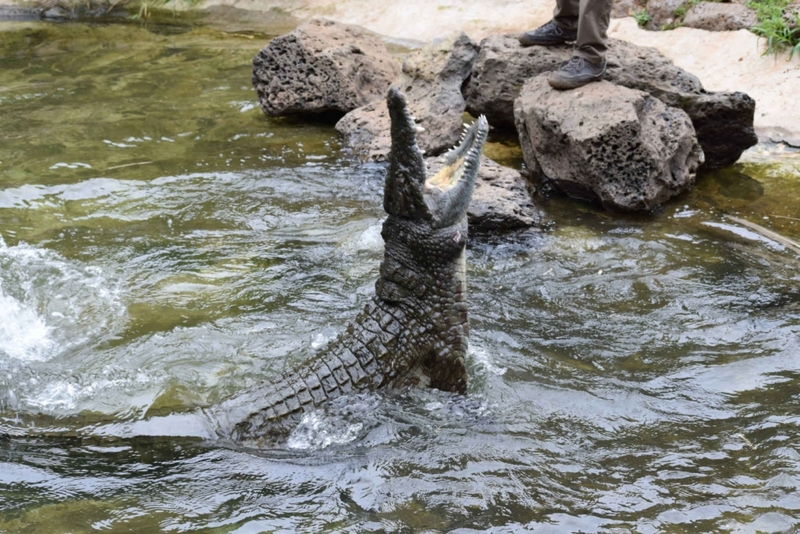 On display were fearsome crocodiles, giant tortoises, monkeys and ostriches. You can feed the ostriches with nearby foliage, but you have to be careful as they forcefully snap it from your hand and could probably take a finger off in the process! 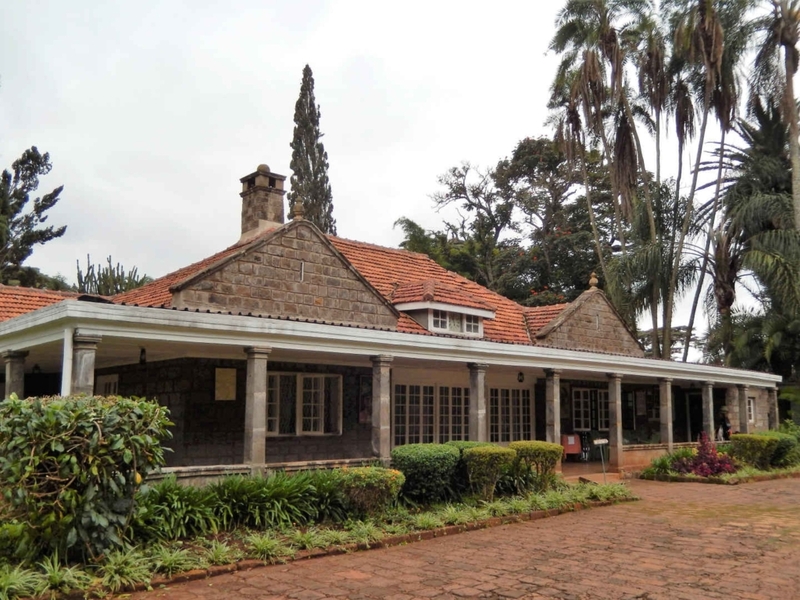 The final stop on our Nairobi day trip was a visit to the Karen Blixen Museum. Set at the foot of the Ngong Hills, the Danish writer Karen and her nobleman husband moved here in the 1910s to set up a coffee plantation. The farmhouse became world famous following the 1985 Oscar-winning movie Out of Africa, starring Meryl Streep and Robert Redford, and based on Blixen’s autobiographical novel of her life there. While this is clearly an iconic place to visit, with its cultural relevance for the area, the museum itself is simply a reconstruction of how the house might have looked during Blixen’s time there, with some original pieces. 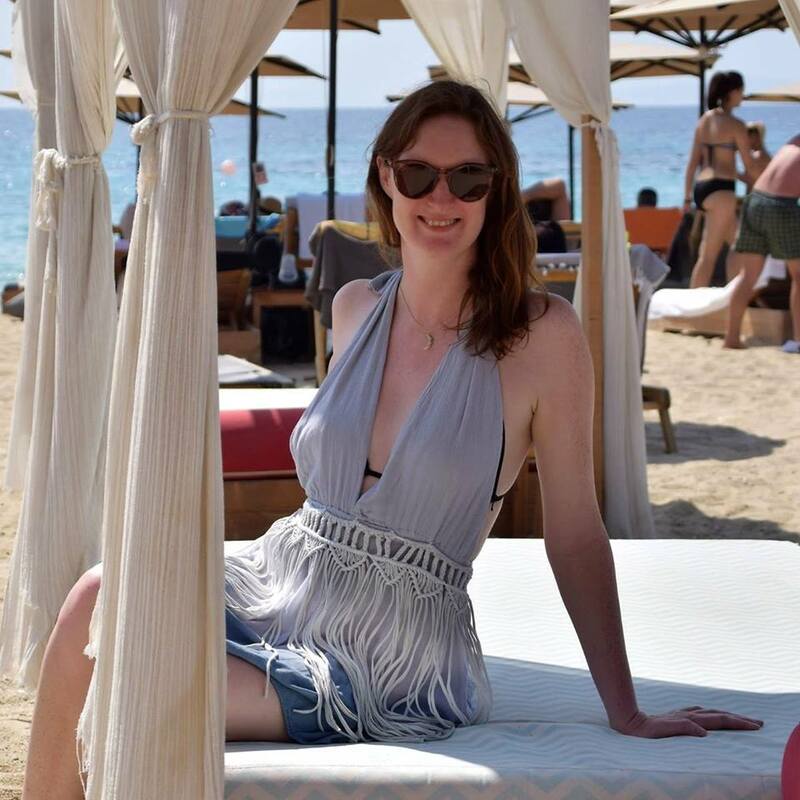 I left feeling like it would be more meaningful for fans of the book and film, rather than for the casual visitor like me. That said, I would like to watch the movie, now I’ve had a glimpse into this celebrated author’s life. Especially since Meryl Streep is one of my favourite actresses. As we made our way back into the city in the taxi, driven by our excellent driver and guide, Samson, I reflected on our action-packed day. 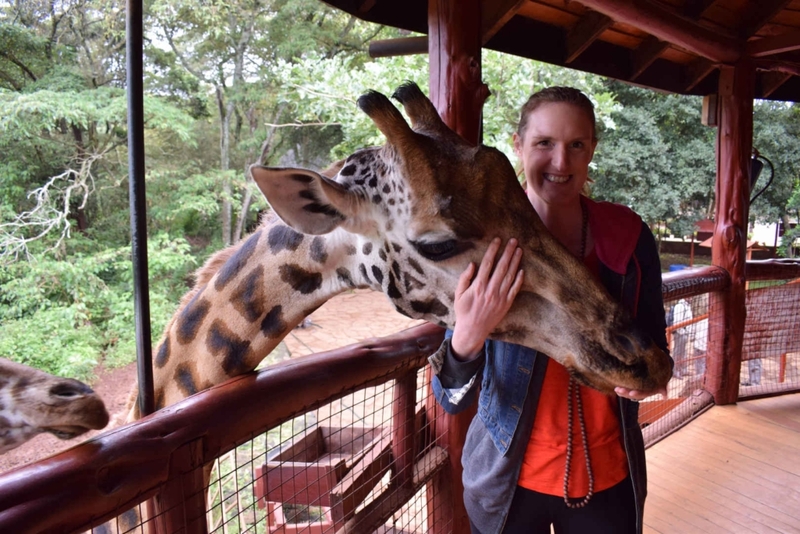 The highlights were definitely the giraffe centre and the elephant orphanage, which both do important work to protect the animals that make Kenya famous, and are entertaining places to visit. And it was funny to think at the beginning of the day I had no idea I would be smooching with giraffes!